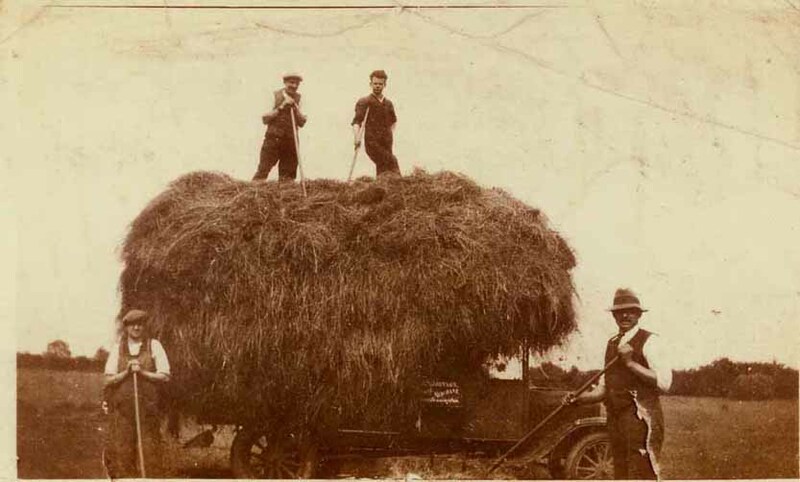 The first mechanised harvest in 1934. Those pictured are: Charles P. Headland and Lance Vale on the stack, and Charlie Headland and Harry Johnson ('Builder Johnson') on the ground. The Long Bennington Local History Society aims to record and publish people’s memories of Long Bennington, a village in Lincolnshire.